Godox, the Chinese lighting manufacturer, has a wireless TTL flash trigger in development, scheduled for launch this summer. The Godox X1 appears to be a radio transceiver similar in form factor to the Pixel King Pro, with a hotshoe mount on top and LCD control panel on the back. Images posted on a Chinese forum showed off the device, presumably set to be shown off at the P&E photography trade fair. 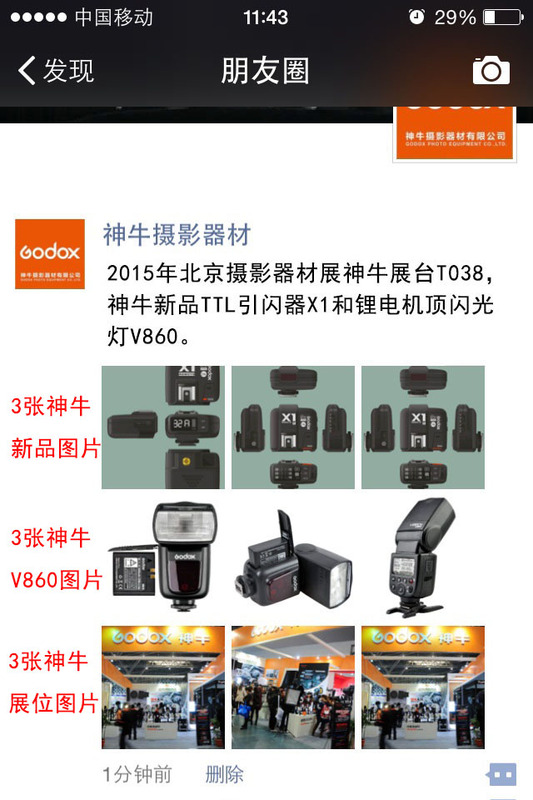 The X1 will apparently support triggering of the Ving V860, Godox’s lithium-ion TTL flashgun. A spokesperson for Godox said they did not have any further technical data to reveal yet. Release was originally estimated for the “end of April” 2015 but may be delayed to May, they said.